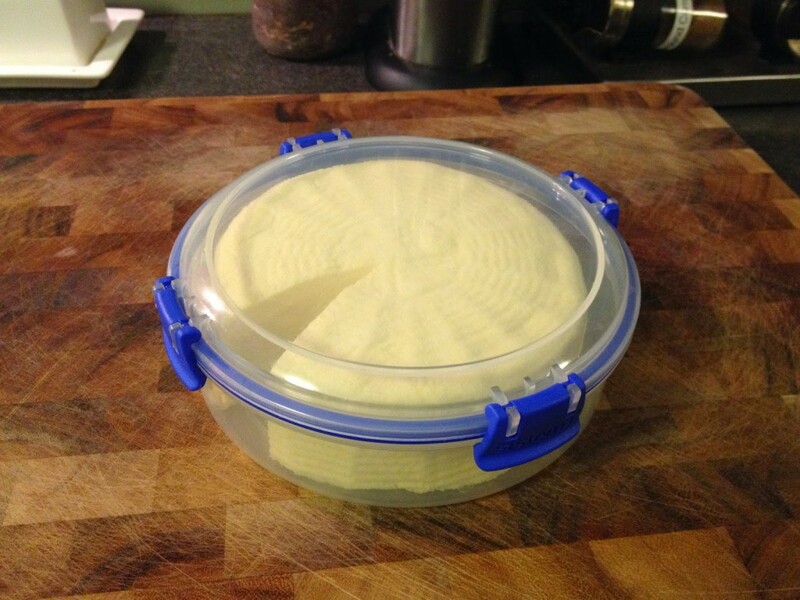 Queso Fresco is a breeze to make, and I have even taught my son Ben to make it now. It was his first cheese, so I now consider him a baby curd nerd! 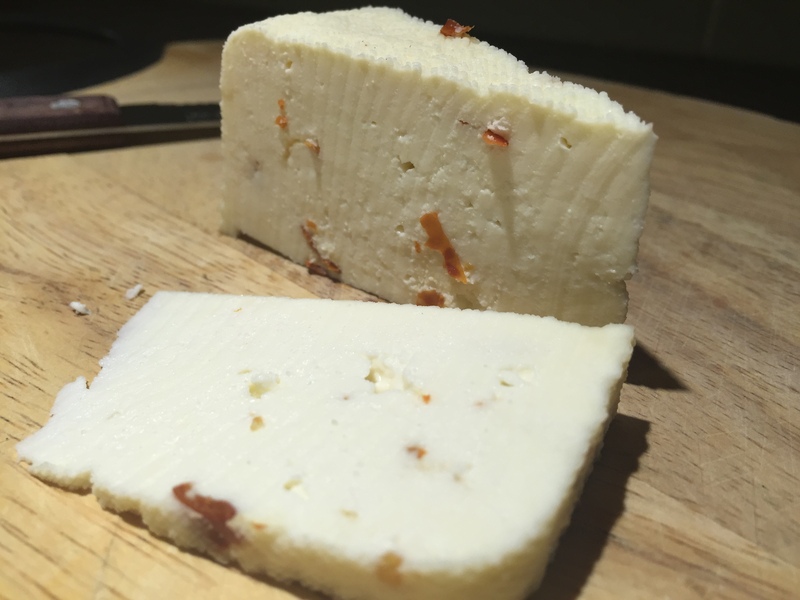 For those of you who missed it, I posted the recipe for Queso Fresco here. 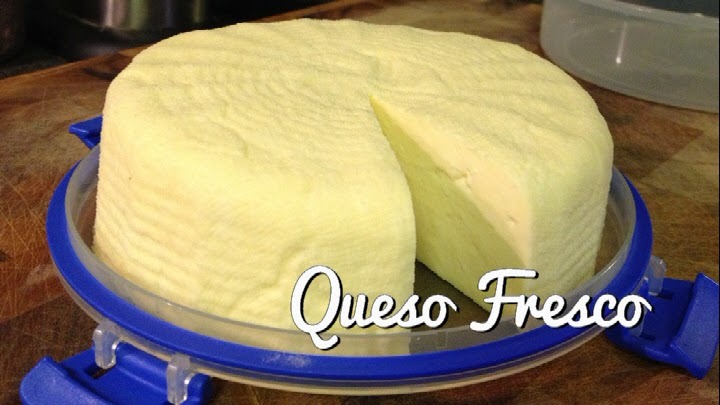 However, I can now present the Queso Fresco video tutorial that goes with it. Enjoy the tutorial! If Ben can make it, you can too. If anyone has any questions, please leave them below via comment. This cheese, Queso Fresco, stems from Spain and Latin American roots. Translated it means Fresh Cheese. This cheese shouldn’t be confused with Queso Blanco, which is essentially Ricotta Salata. Queso Fresco uses rennet, whereas Queso Blanco only uses lemon juice to coagulate the milk. It is a quick farmhouse cheese that can be made a variety of ways. It involves a little bit of mesophilic culture, a little liquid rennet, and some salt. Not too much to making it really, but well worth the effort. Here is the recipe that I adapted for a lower yield as most of the recipes that I found asked for 8 litres (2 gallons) of milk, which I believe was too much. 1/8th teaspoon of Calcium Chloride diluted in 30ml (2 Tbspn) of unchlorinated water, if using pasteurised/homogenised milk. Add the culture and mix the milk well. Add the Calcium chloride if using. Add the diluted rennet and stir for 1 minute only. Cover. Allow milk to set for 45-60 minutes, or until you get a clean break. Cut the curd into 1/2 cm (1/4 inch) cubes. During the next 20 minutes, slowly increase the temperature to 35°C (95°F), stirring gently to keep the curds from matting. Cover and let the curds rest for 5 minutes. Drain off the whey by hand, return the curds to the pot. Add the salt and gently mix by hand. Cover and allow curds to rest at 35°C (95°F) for 30 minutes. Fold one corner of the cheesecloth over the mould and top with a follower. Press at 16kg (35lbs) for six hours. Remove from press and mould. Your Queso Fresco can be eaten straight away or can be stored in a covered plastic container in the kitchen fridge for up to 2 weeks. This delightful simple cheese is a fresh, tasty alternative to soft cheeses, and can be made and eaten on the same day. We found that our batch had an amazing flavour for a cheese that was so young. Great in salads instead of feta, even better grated over burritos, tacos, and enchiladas! Just remember that this cheese doesn’t melt, so it’s not so good in toasted cheese unless you mix in some cheddar. All the ingredients can be found in one of our Soft Cheese making kits, which you can find over at Little Green Workshops. There is a Queso Fresco video tutorial in the works for this cheese, which will be published in the next few days. Enjoy this simple, yet worthwhile cheese.